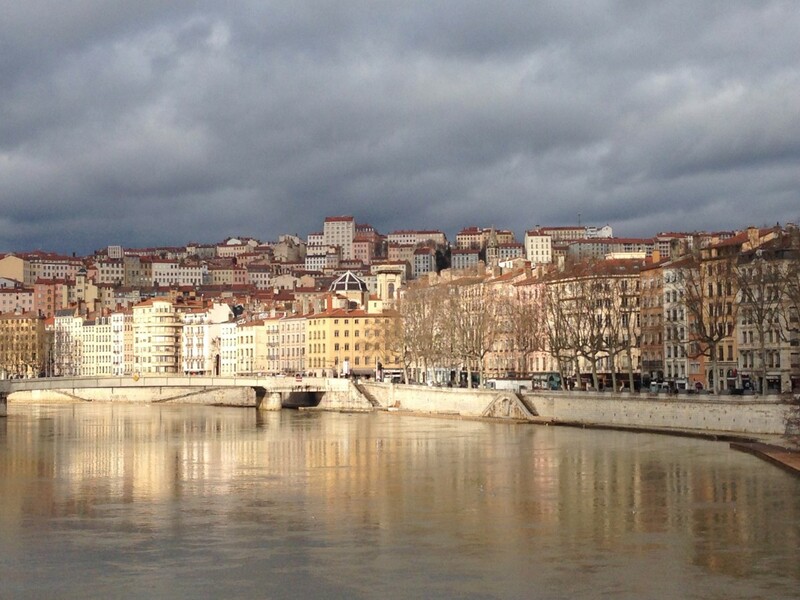 Haley spent one year studying in Lyon, and completely fell in love with the city. Now she can't help but share her passion for it! Most people consider Paris to be the crown jewel of France, and in doing so overlook Lyon—a true French gem that deserves far more appreciation than it gets. Though it is a much smaller city than Paris, it still has loads to offer and is worth visiting for a few days on your next French adventure. At just two hours from Paris by TGV, and with its own international airport, it is also a very easy destination to reach. The city, built at the confluence of the Rhône and Saône rivers, has developed a unique character over the last several millennia—melding old and new in an intensely satisfying, and often surprising way. A walk through a neighborhood of apartment complexes yields a humble plaque celebrating the city’s 2,000th anniversary, just as an ancient Roman amphitheater looks out over skyscrapers. Hidden alleys lead to cozy tea shops, and hyper-realistic murals peek out from between buildings to keep you constantly on your toes. For this reason, among others, Lyon is best explored on foot, where it is best able to invite you in and reveal its secrets. 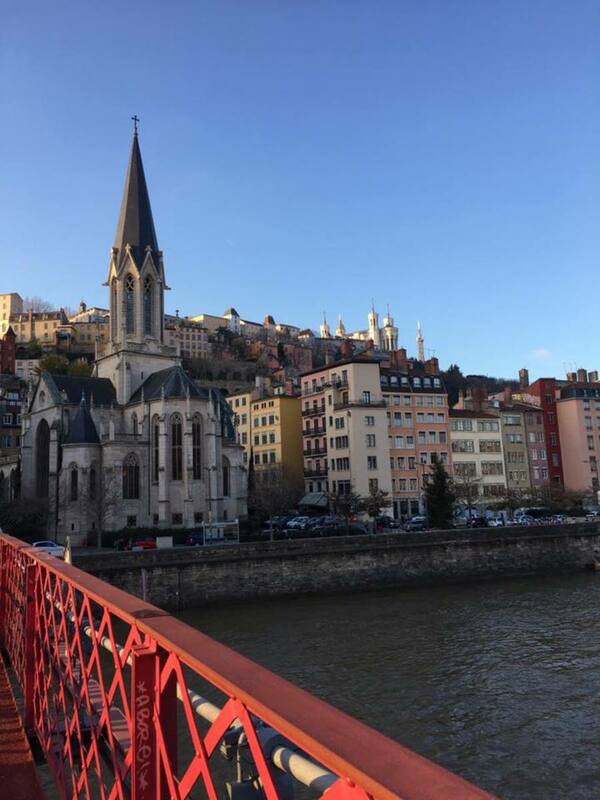 Winter is a particularly fantastic time of year to travel to Lyon, providing a unique city experience without the throngs of tourists that abound during summertime in Europe. 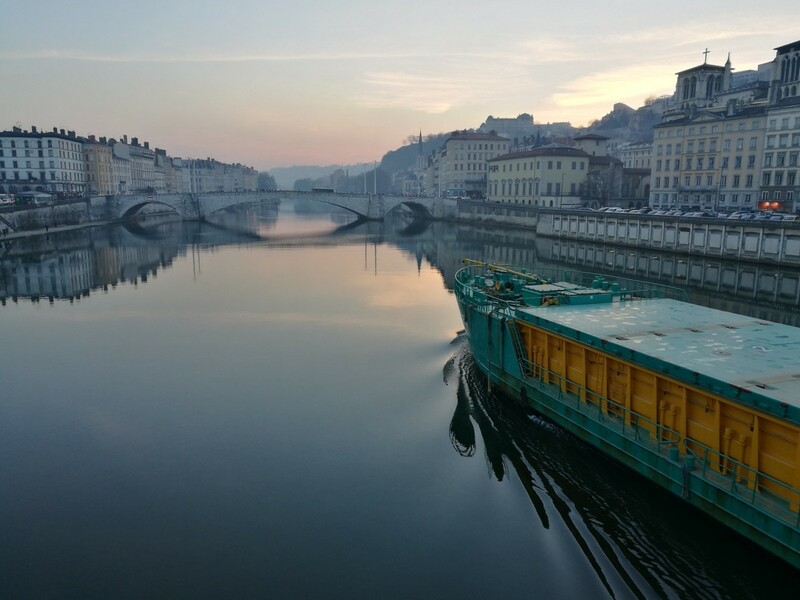 Even at its coldest, it's rare for the temperature in Lyon to drop below freezing, so as far as winter destinations go you’ll be less chilly here than you might expect. Here are my recommendations for Lyon’s top five wintertime sights (plus three more bonus sights if you happen to be there at the right time). 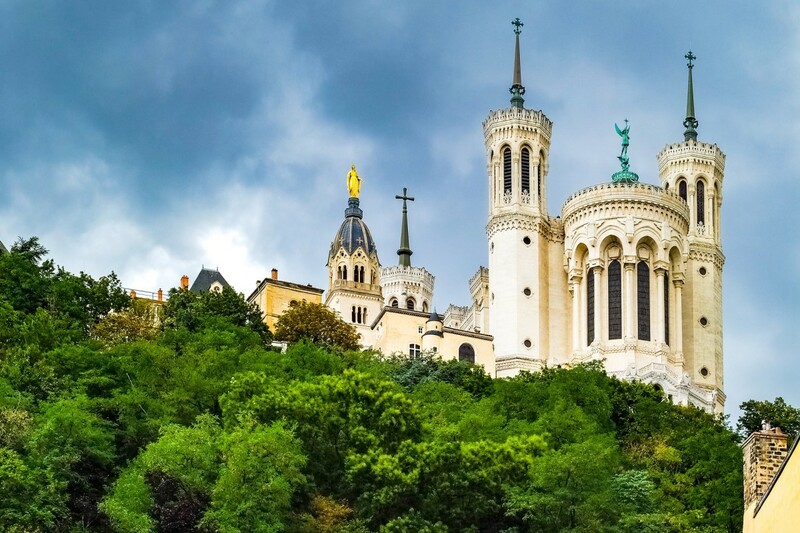 Notre-Dame de Fourvière, otherwise known as “the soul of Lyon,” is undoubtedly one of the most stunning places in the city. 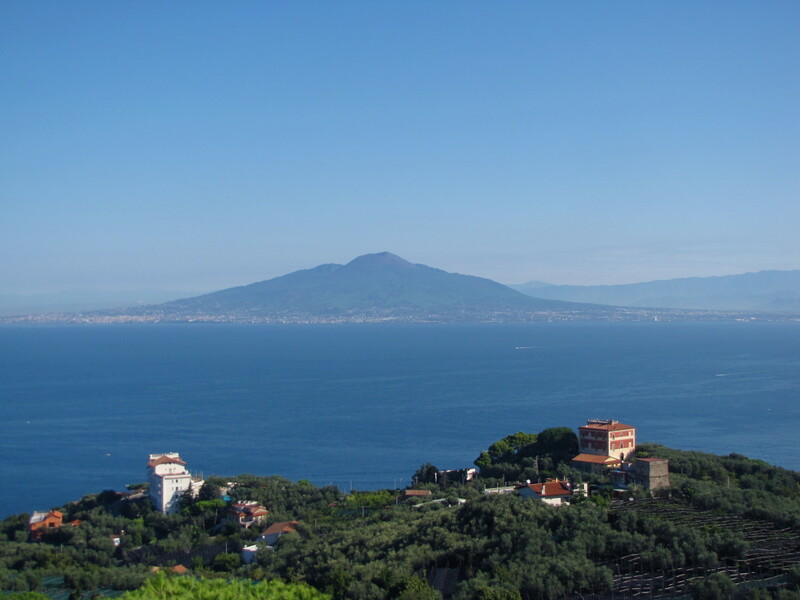 Located atop “la colline qui prie” (the hill that prays, so named for the basilica), it overlooks the whole of the city, providing an unparalleled panorama worth seeking out at the start of your visit. But that’s only from the exterior. Step inside and you’ll be dazzled by the bright mosaics lining the walls and the colorful stained glass surrounding the altar. If possible, go on a sunny day to heighten the effect. On exceptionally clear days, you can look across the city from here and see the Alps! Though the basilica itself is quite new, the Fourvière has been a place of pilgrimage since Roman times. 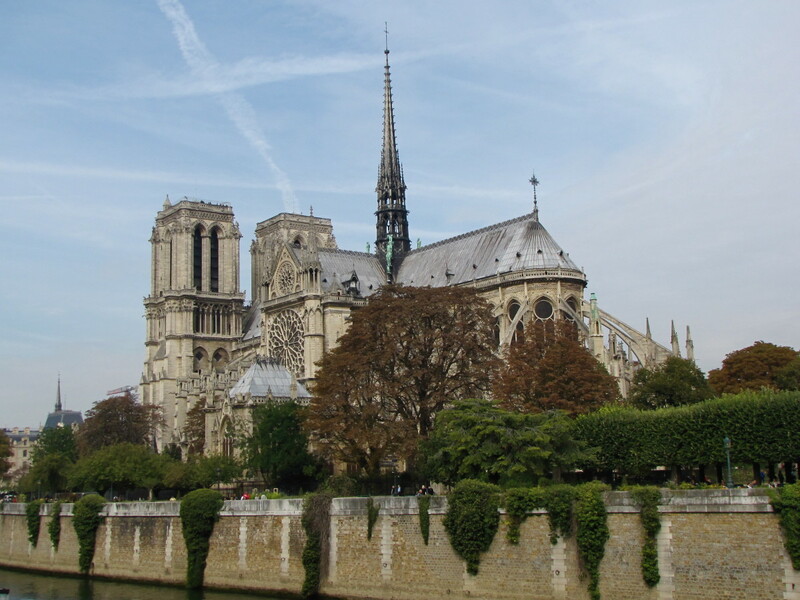 Throughout the ages, it has seen various small chapels and churches, each in honor of the Virgin Mary, who purportedly saved the city from the plague, cholera, floods, and so on. The current basilica was built in response to Mary answering a prayer to save Lyon from the Prussian army that was rapidly approaching the city. Those praying promised that if Mary saved the city, they would build her a magnificent place of worship in thanks. 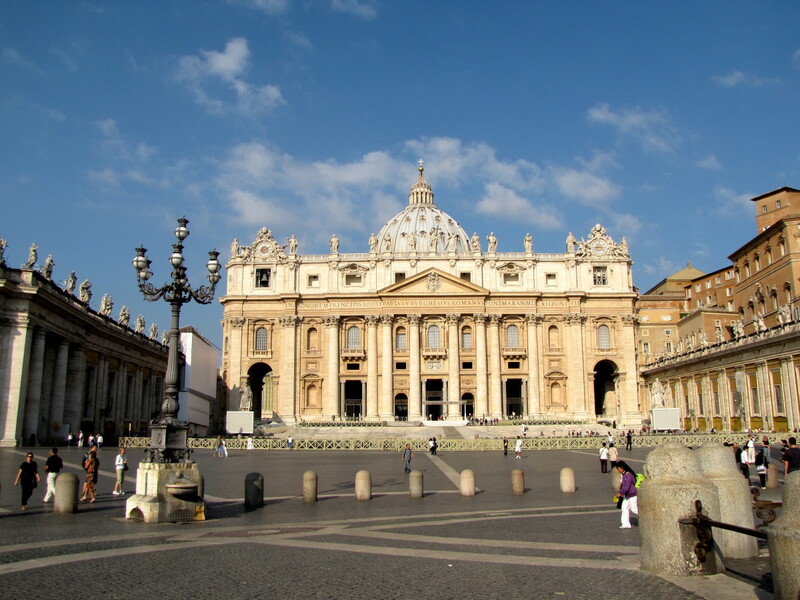 Mary came through once again, and construction on the basilica began two years later in 1872. The basilica is sometimes called “l’éléphant à quatre pattes” due to its resemblance to an upside-down elephant. Spot on, if you ask me! Pro tip: If the hike up the stairs feels like a bit much, there’s a funicular that goes from the metro station “Vieux Lyon” all the way up to the Fourvière. Pro tip: Feeling brave? 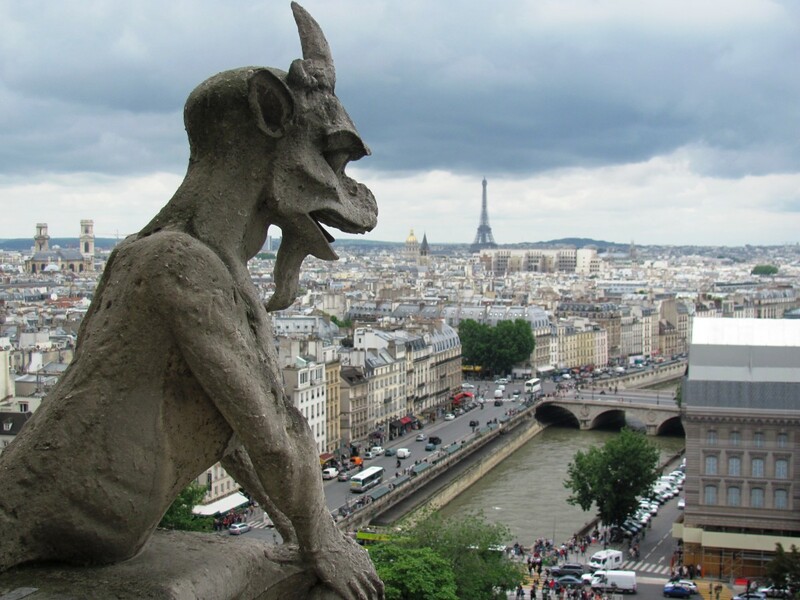 Try out the “Visite Insolite” that starts at the top of the entrance stairs on the right side. It’s only 6€, but it’s also only in French. 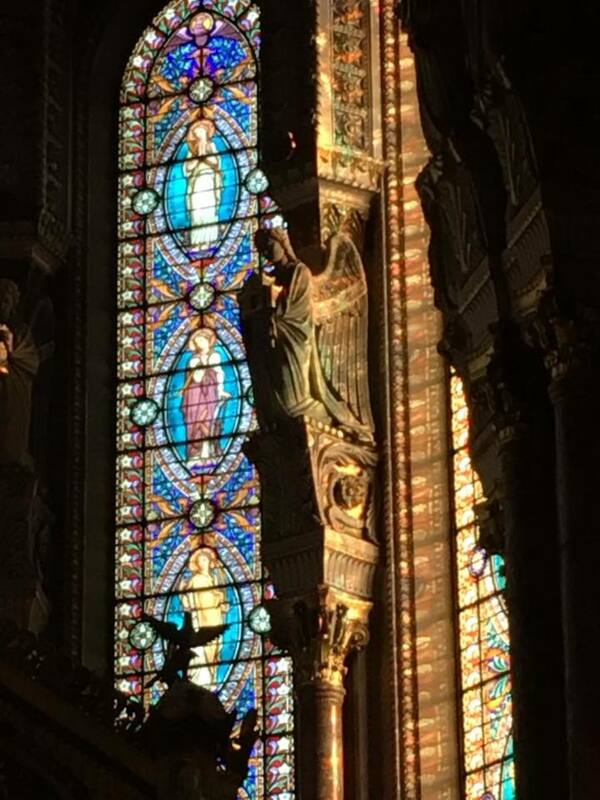 That being said, if you don’t mind missing out on the spoken content, you’ll be led through all the different levels of the basilica, ending with a walk around the roof and towers. It’s truly unforgettable. 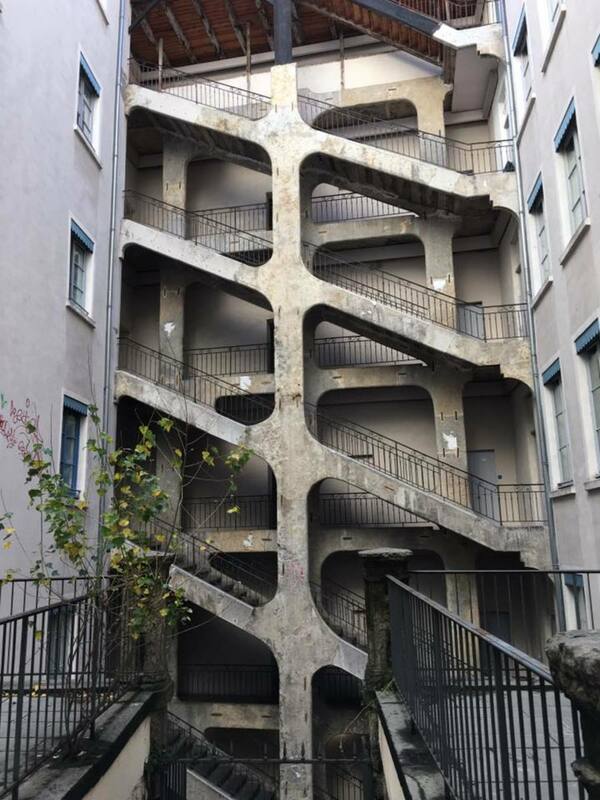 The Cour des Voraces is a hidden spot tucked up on the slope of Lyon’s other hill—“la colline qui travaille,” or “the hill that works.” Its unique facade, a sunken series of diagonal staircases, is enough to make it worth a visit, but the history behind it makes it all the more intriguing. The hill is named for the 19th-century silk workers, or canuts, who used to live and toil there, many of whom did so in the buildings surrounding the Cour des Voraces. 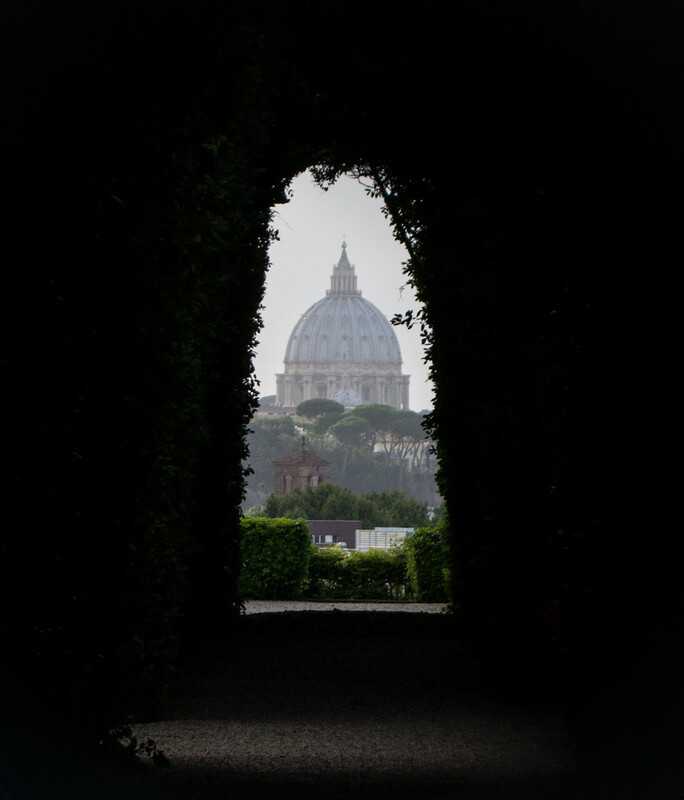 However, compared to the hill that prays, its nature is much less obvious, now only evident in its architecture, and then only if you’re looking for it. The buildings that run the length of the slope, originally built to house these workers, are now in high demand due to their floor-length windows and high ceilings, but these features weren’t designed with luxury in mind. At their origin, the windows provided maximum light for the workers to spin silk from dawn till dusk, while the high ceilings allowed enough space for their massive looms. The canuts worked under very poor conditions, which led to multiple revolts, but they also had a crucial role in the Resistance. In addition to its loft-style buildings, the neighborhood is marked by strange passageways called traboules that run underneath and through its residences. These traboules were built in order to transport silk down the hill without it being damaged by rain, but during the Resistance the canuts used them as a secret network, allowing them to move and communicate while remaining unseen. There are traboules in Old Lyon as well, which are easier to find, but walking the main one in Croix-Rousse is well worth the effort. If you start from the Cour des Voraces you can follow the stairs all the way back down through the traboules to the Place des Terreaux. Hours: open every day from am-7pm, and until 8pm in summer. Pro tip: Feeling the need to warm up on your way back down from the Cour? Check out A Chacun sa Tasse, Lyon’s most charming tea salon, nestled on the slope above the Place des Terreaux. Complete with comfy chairs and pillows, and a 40+ page menu of libations, this place has something for everyone. Hours: M-F from 8am-7pm, S from 9am-7pm, closed Sunday. 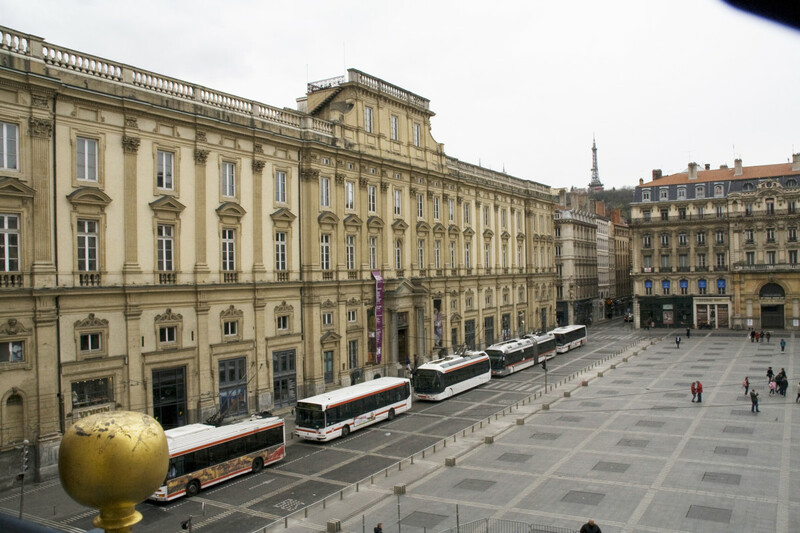 Vieux Lyon is the charming quarter located directly below the basilica, composed of a network of narrow cobblestone streets interspersed with Roman ruins, and the largest collection of bouchons in the city. These bouchons are Lyonnais restaurants that serve the traditional fare of the canuts, best enjoyed in winter. It is very heavy, and perhaps not for the faint of heart. Still, there’s a certain magic in stepping out of the cold and into one of these places. If you’re feeling brave, check out Notre Maison at 2 Rue de Gadagne. And don’t forget the “pot de vin rouge” to go along with your meal. If goose liver and honeyed beef cheek don’t appeal to you, there’s another Lyonnais specialty you can try: praline. The Boulangerie du Palais is just down the street at 8 rue du Palais du Justice, and has a mouthwatering assortment of the sticky pink treats. From brioches to tarts, you can’t go wrong. Old Lyon is also home to one of my favorite bars in the city, The Beers. It’s got some of the cheaper pints in the city, though that’s not to say they’re cheap, and they have a great selection. Depending on what you order, they’ll even serve it to you in the glass meant for that specific beer. Another good spot for beer is a brewery called Ninkasi. There are several locations throughout the city, and it’s a fun place to grab a local brew. All in all, Old Lyon is one of the most picturesque and colorful parts of the city and is not to be missed. Pro tip: As you walk further south along the river, keep an eye out for marks on the buildings with the word “crue” next to them. These show various flood lines from the city’s past. A visit to the Marché aux Bouquinistes is a lovely way to spend a weekend morning. 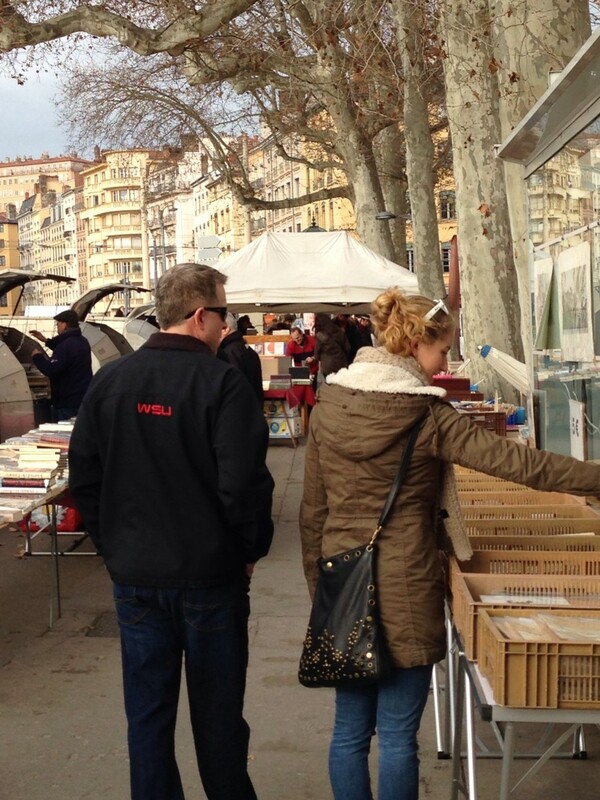 Akin to the famous book stalls that line the river Seine in Paris, this charming book market above the banks of the Saône is full of finds for those who are willing to do a bit of digging. It has a range of offerings, including books, records, posters, and art, and is sure to inspire nostalgia. While there, take a moment to look over the parapet and appreciate the newly renovated riverside walkways below. 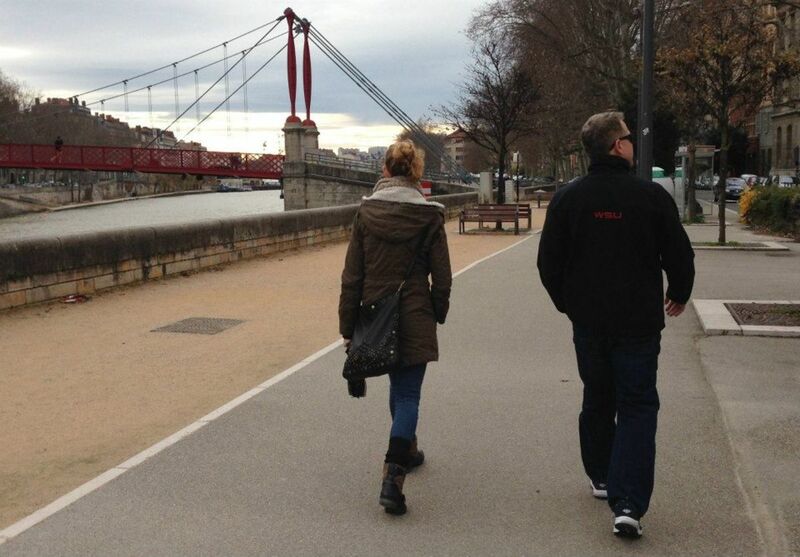 The banks of the Rhône and Saône have both recently undergone major renovation efforts, transforming them from parking lots to pedestrian and bike-friendly zones with ample areas to sit and relax. 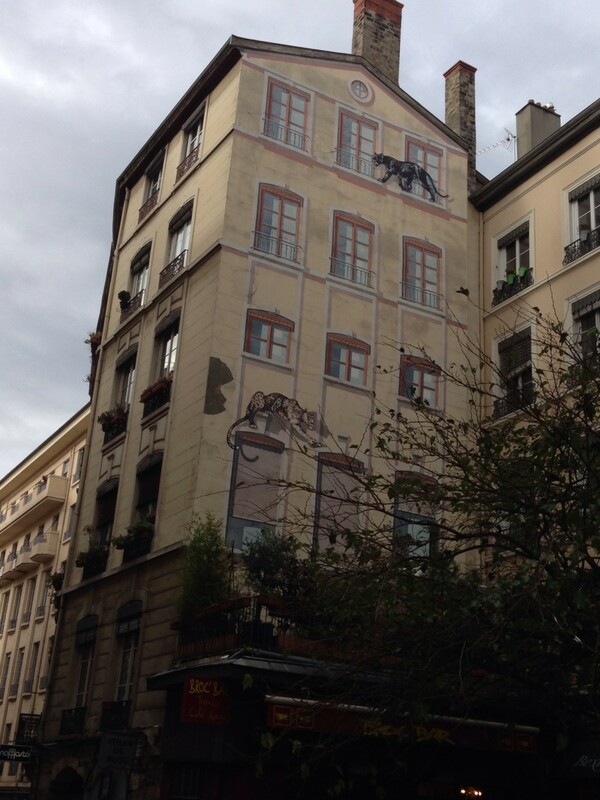 Pro tip: Nearby, at 2 Rue de la Martinière, you’ll find one of several hyper realistic murals around the city. See if you can find the rest! Pro tip: Take the time to walk along the riverbanks, crossing the pedestrian bridges, or passerelles, whenever it strikes your fancy. All of them provide unique views of the city, those that cross from the Presqu’île to Old Lyon most of all. But beware, these small bridges often sway and bounce, so if you’re afraid of heights or suffer from motion sickness it might be best to avoid them. The Museum of Fine Arts is another lovely winter destination, providing shelter from the elements as well as a well-curated and regularly updated series of galleries to peruse at your leisure. 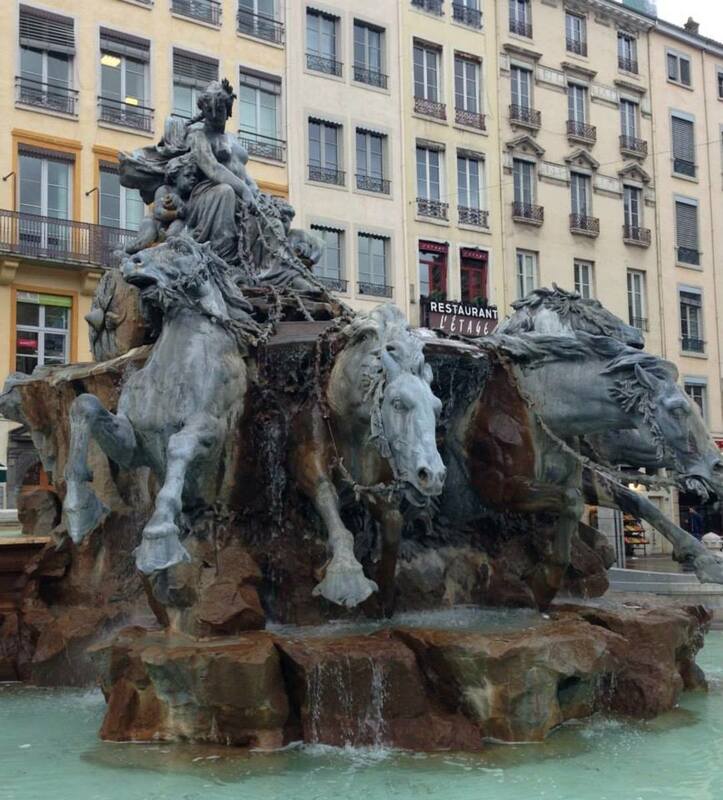 It is located in the Place des Terreaux, across from the beautiful Bartholdi Fountain. Pro tip: If you’re in Lyon on the first Friday of the month, stop by for a special after-hours event at the museum. These themed events are always fun, often bizarre, and will give you a new appreciation for the collections they have on display. Reserve online to make sure your evening runs smoothly. Pricing: €5 (+ €3 for activities), free for those with the Carte Musées (+ €3 for activities). 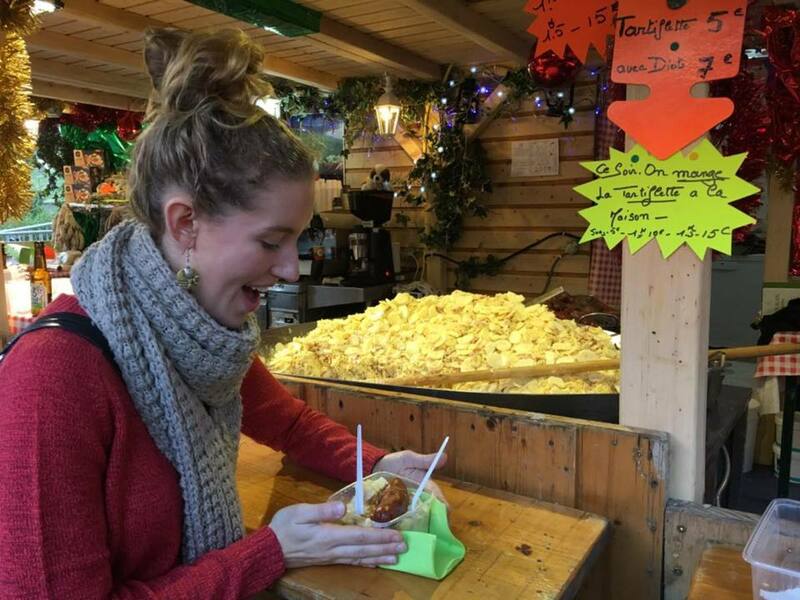 Lyon’s winter market is a charming and delicious affair, and is not be missed should you happen to be there in December. The entirety of Place Carnot is transformed into a winter wonderland, complete with a plethora of stalls that invite you in with offerings both edible and otherwise. 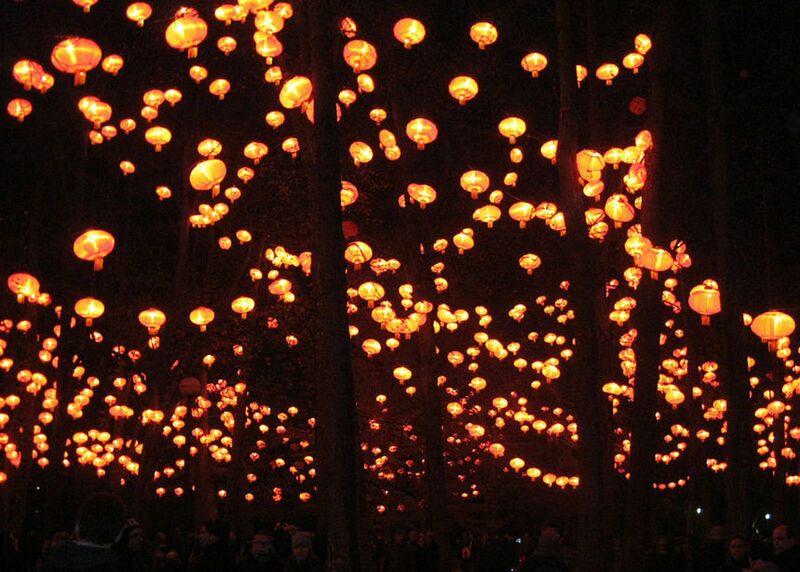 If you’ve planned to be in Lyon around the 8th of December, you’ll undoubtedly be swept away by the city’s annual Festival of Lights. 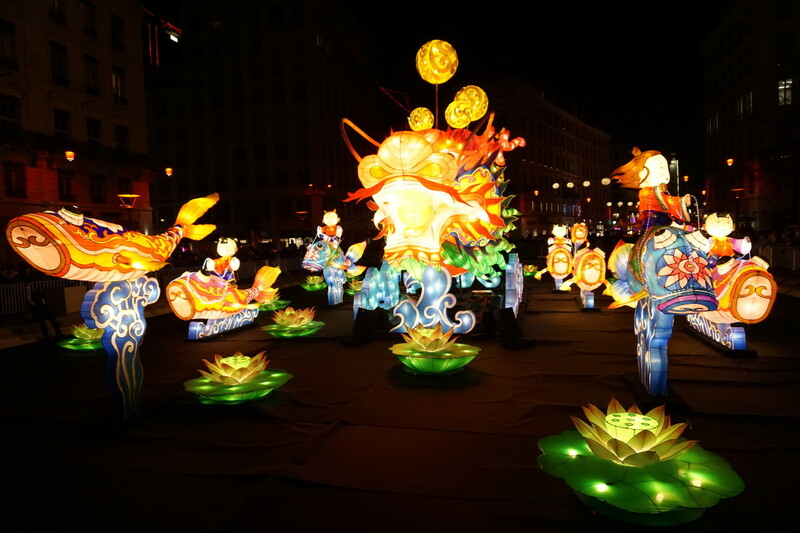 This spectacular show takes place for just 4 days each year, in which the city comes alive with many dozens of light installations designed to delight and inspire their audience. The celebration started hundreds of years ago as a humble thanks to the Virgin Mary for saving Lyon from the plague. In gratitude, the city’s citizens put up candles along their window sills on the night of December 8th, a tradition that continues today, though now in the shadow of the Festival. Pro tip: Lodging prices rise astronomically during this time, so be prepared to shell out if you plan to visit Lyon during the festival. 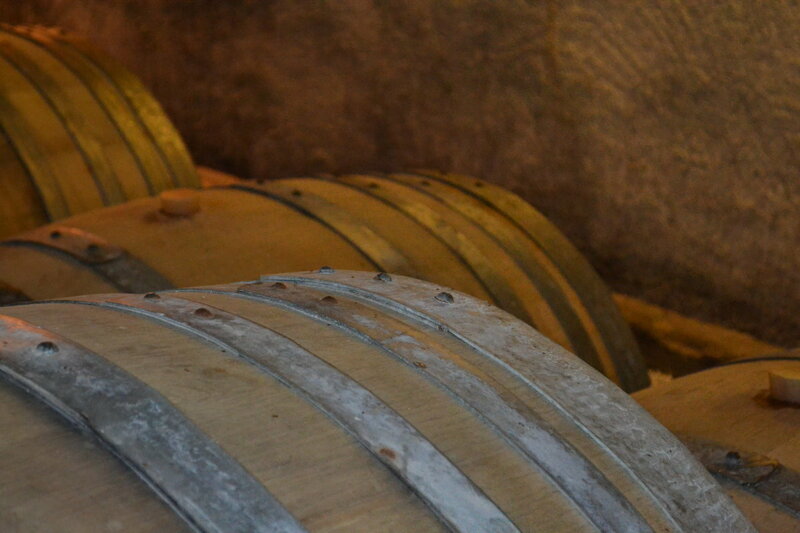 The year’s Beaujolais Nouveau, a fruity wine produced in the areas directly surrounding Lyon, is released annually on the third Thursday in November. 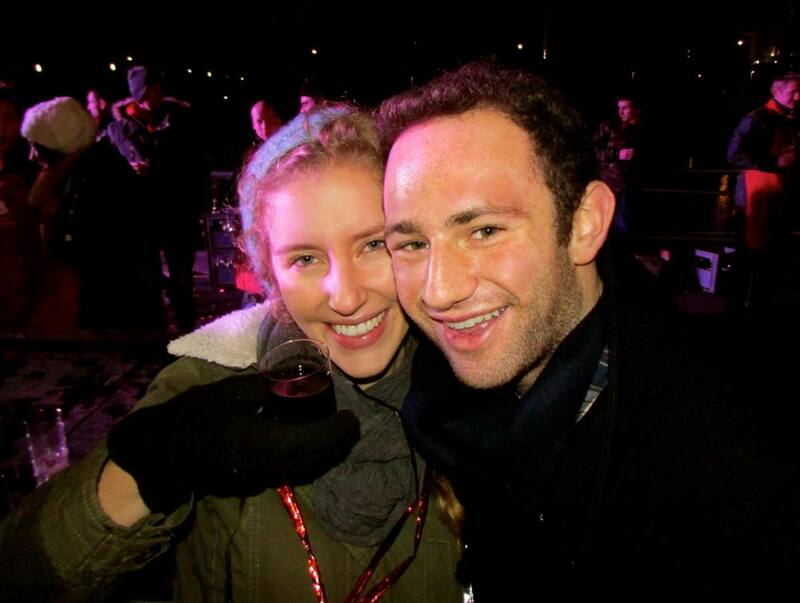 Though Beaujolais Nouveau is by no means considered a fine wine, it is light and refreshing, and the celebrations that surround its release are a fun way to experience the local flavor in more ways than one. From wine tastings and fireworks to street theater, it’s an unmissable event. If you’re thinking of visiting Lyon around this time, take a moment to look up when and where you can go to celebrate. Try to find a place to stay near the Place des Terreaux. It is within close walking distance of all the places I’ve outlined above and is a beautiful spot in its own right. The Plaza (which used to be a parking lot!) overlooks City Hall and the Museum of Fine Arts, and is filled with tables and chairs from the surrounding cafes, giving it a fun and lively atmosphere. It's the perfect place from which to embark on a day of exploring. If your feet are complaining, try out one of the rental bikes that can be found at stations all over the city. The Vélo’v system is cheap and easy to use (just €1.5 for 24 hours or €3 for 3 days! ), as long as you obey the 30-minute time limit. Check out their website for more info. When ordering coffee, make sure you order a “café allongée.” If you don’t, you will end up with an espresso. You have been warned. If that still doesn’t do the trick, head to Moxka at 3 Rue de l'Abbé Rozier in Terreaux for a fix. It ain’t cheap, but it’s the closest you’ll get to a good ol’ cup of joe. Lyon's most distinctive sight—the basilica atop its main hill. 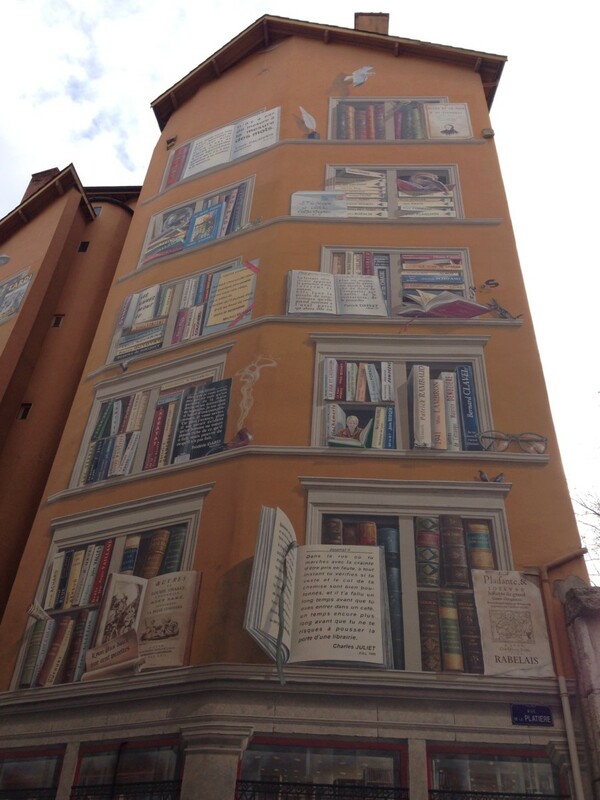 One of Lyon's famous murals is located here. One of my favorite bars in Lyon! 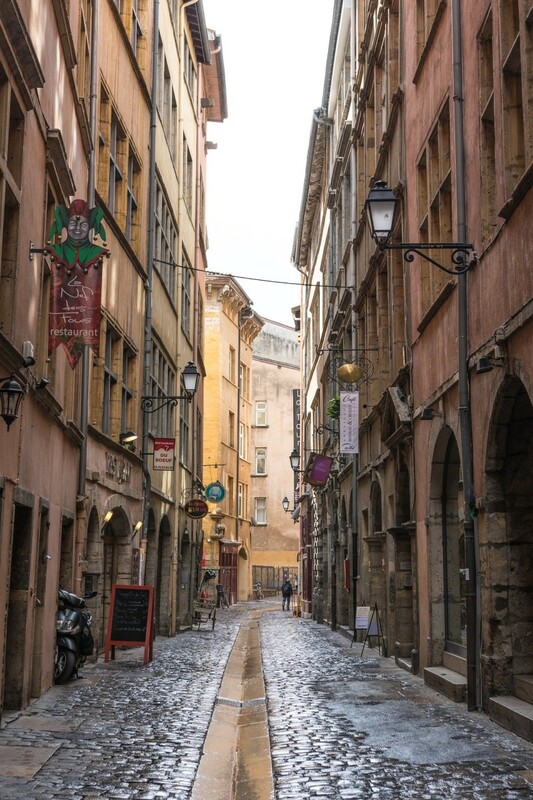 During the winter I spent in Lyon, there was never more than a very light dusting of snow on the ground (though it fell a bit thicker in the outskirts of town near Bron). While you may experience some snow on the coldest days, for the most part, Lyon isn't a snowy city. It is, however, quite close to the Alps, so fantastic skiing is very close by! Which vegetarian cuisines are popular in Lyon? 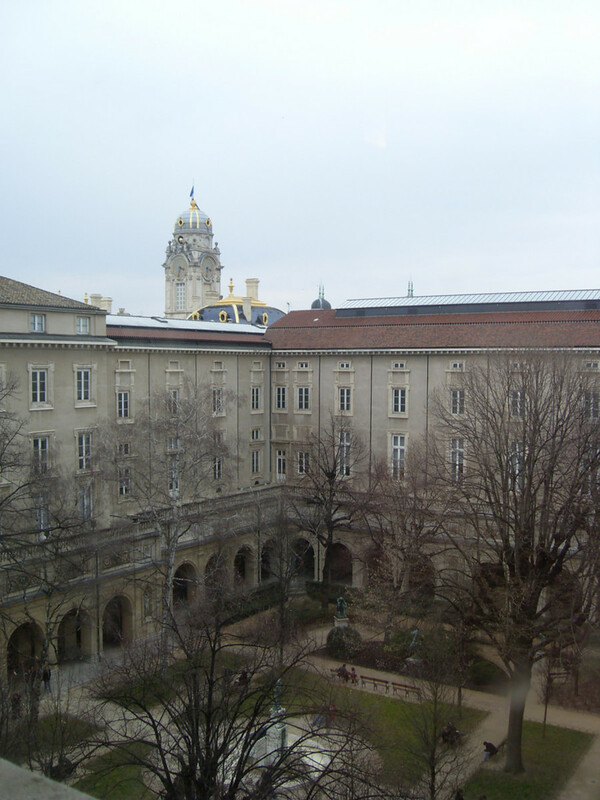 I'm traveling there in August for a one-year master's course. What things should I bring in my luggage from India that will be expensive if I buy them in Lyon? 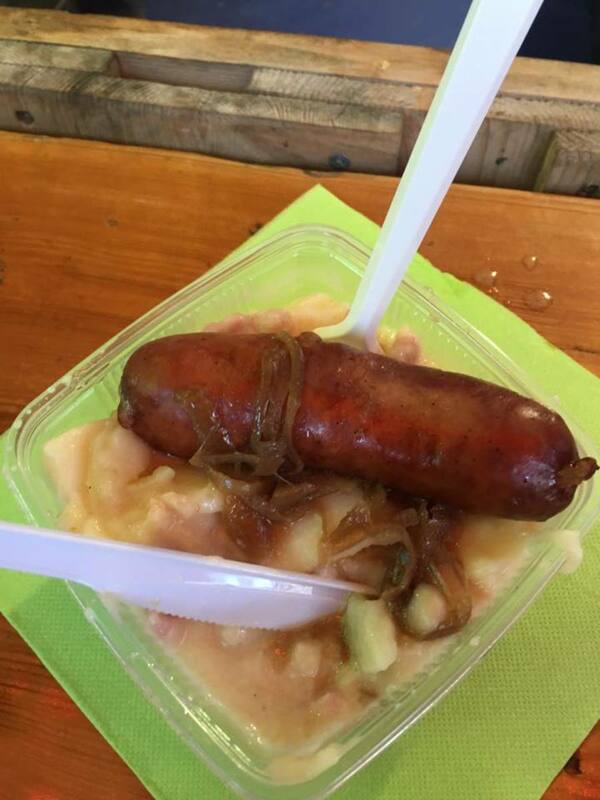 While Lyon is primarily famous for non-vegetarian dishes (though if you eat fish, there's a traditional dish called a "quenelle" you might like to try), that doesn't mean there's a lack of vegetarian food in the city. Most restaurants will have plenty of veggie options for you. You might also want to check out La Vie Claire, an organic grocery store with an excellent produce section (though the prices here are a bit higher than they are elsewhere). As for what to bring in your suitcase, most non-perishable items you'd be able to bring in your suitcase (e.g., rice, lentils, etc.) are reasonably priced in Lyon. I can't think of anything you'd be better of bringing from India. Enjoy Lyon! 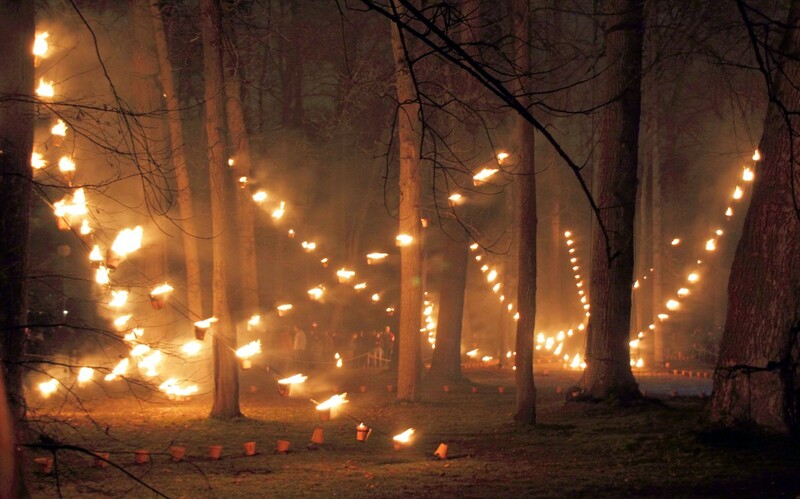 Heading to the Festival of Lights this winter. Can't wait! thanks for the wintertime tips. I thoroughly enjoyed reading your article. As a child, I was taken by road from the UK to the Cote d'Azur regularly on holiday. We used to stop near Lyon on the way but never ventured into the city. Friends of ours recently included it on a European tour and thoroughly enjoyed it. Lyon is now on our list of places to visit. I agree! 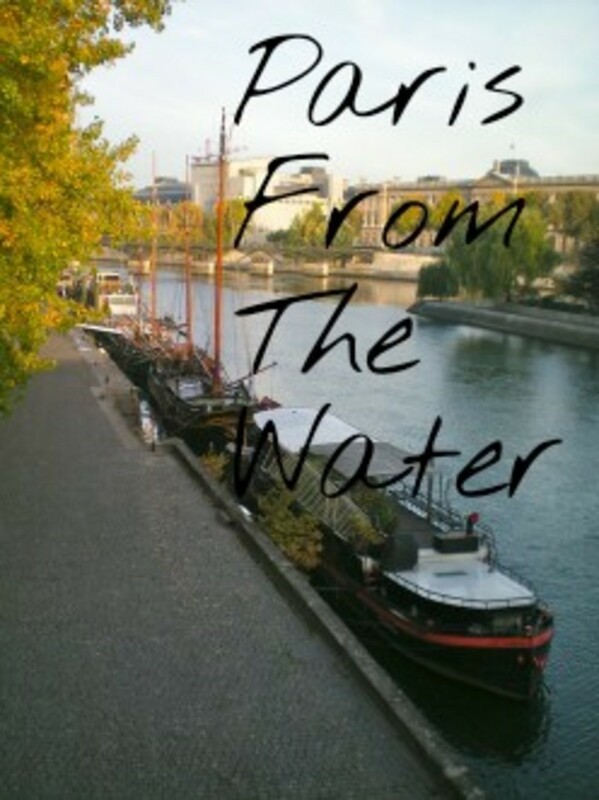 Paris has great things to offer, but France is not only Paris. 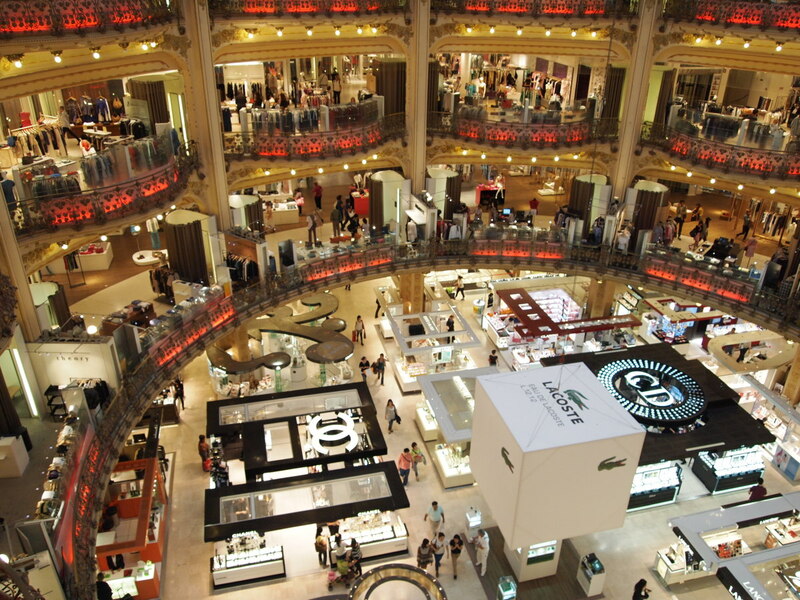 There is more to discover like the city Lyon. Great article!! 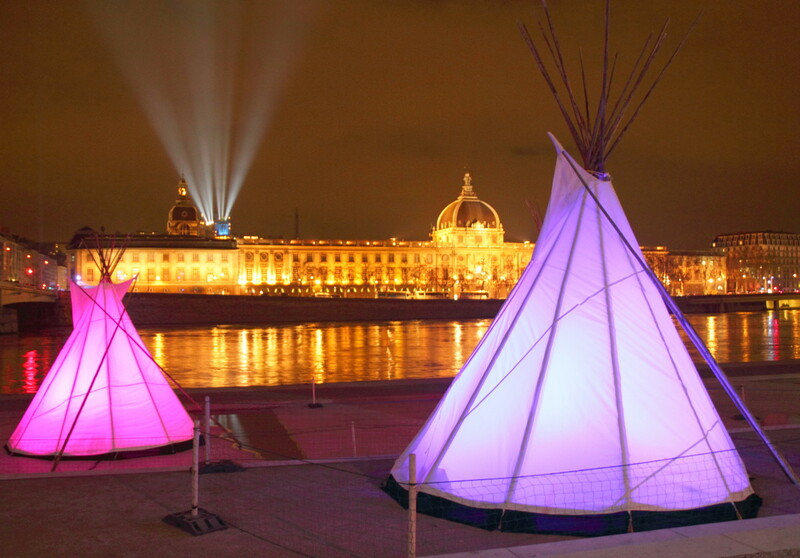 Definitely, want to visit Lyon. I want to dive face first into the tartiflette vat. Great article!! 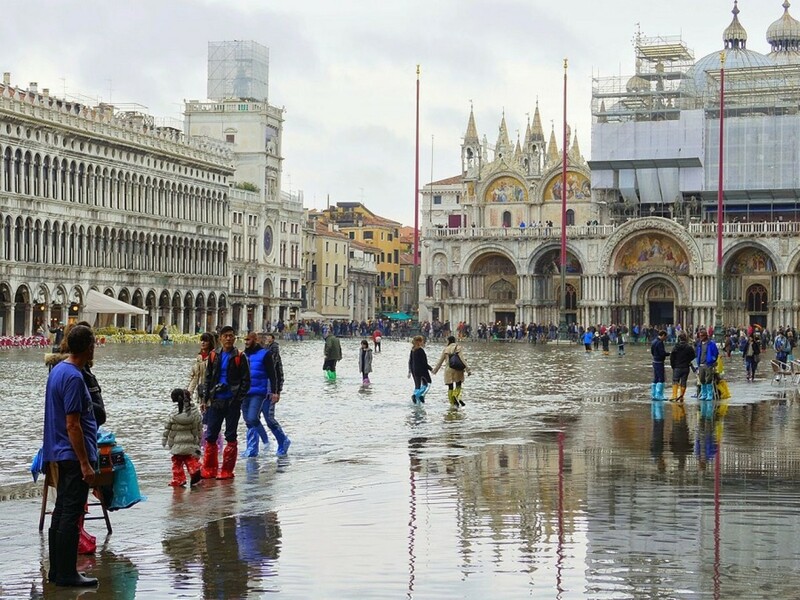 Can we expect more travel tips from you in the future? The Festival of Lights looks amazing! I hope to be able to go there and experience it myself one day. 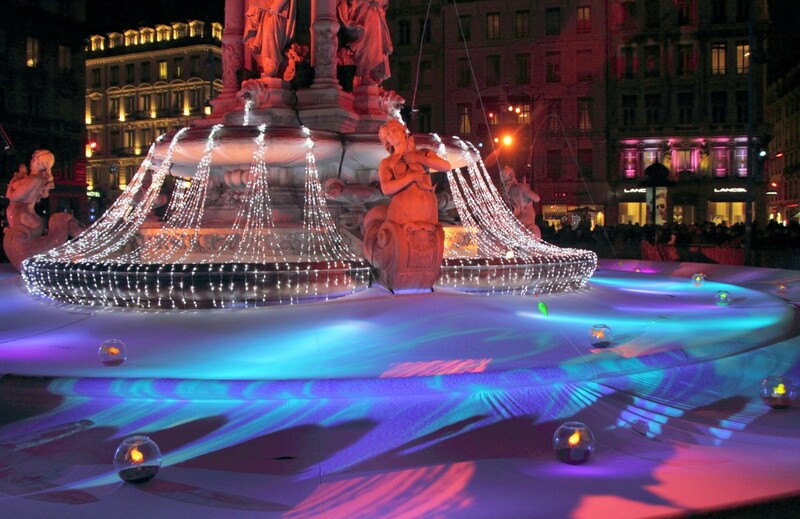 Love the tips for winter in Lyon!